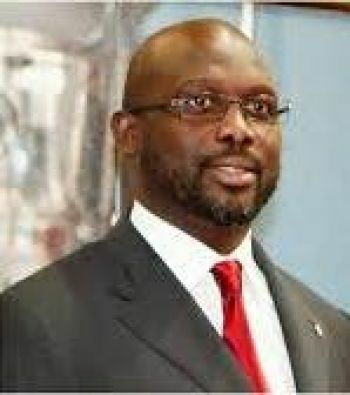 President George Manneh Weah has issued a Proclamation declaring Wednesday, November 14, 2018 as “World Diabetes Day” and is to be observed throughout the Republic as a Working Holiday. The Proclamation calls on all Ministries and agencies of government, national and international organizations concerned as well as the general public to join the Ministry of Health to organize and execute appropriate programs to make the event meaningful. The Proclamation noted that the United Nations joint program on Diabetes has designated the 14th day of November of each year as “WorldDiabetes Day” and urges all member countries to execute relevant and appropriate awareness programs in observance of the Day. The release added that Liberia will join health partners and the rest of the global community in celebrating the event as part of efforts to protect the health and welfare of its citizens and foreign residents. The Proclamation stressed that Diabetes is a chronic, devastating and costly disease associated with severe complications and life-threatening risk to many families across Liberia and the World at large. The release also emphasized that these complications may be delayed, prevented, decreased in severity through goal-oriented of blood glucose, lipids and blood pressure, receiving diabetes self-help achieve targets values, maintaining a healthy body weight and receiving a recommended eyes and foot examinations. The Proclamation further stated that Liberia, as a developing country with a population of 4.5 million people, through a recent survey, puts the diabetes prevalence in adults to 5.6 percent. According to the Proclamation, citizens of Liberia constitute a vital resource of the nation as such, the Government through its Pro-Poor Agenda is cognizant of improving the quality of life of its people by promulgating and promoting policy programs aimed at improving their health, wellbeing, and welfare, thereby preventing deaths and illnesses amongst the entire populace. The principles of creating awareness of the threat of diabetes embodied in the policies of the Government, as adopted are in accordance with those recommended by the World Health Organization (WHO) and the United Nations Joint Program on diabetes, to educate and keep the Liberian people aware of the threat of diabetes, the Proclamation further declared.